Fattah and four associates were indicted in July 2015 on 29 corruption charges including racketeering, bribery, money laundering, mail and wire fraud, bank fraud, and falsification of records, among other charges. 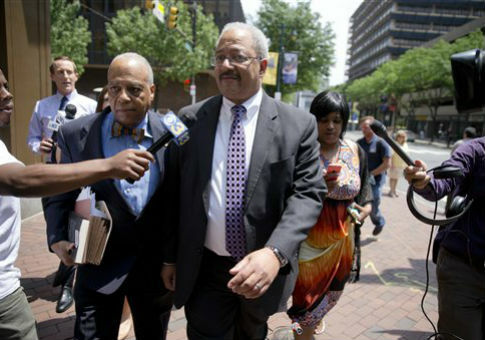 The Department of Justice said Fattah took an illegal $1 million loan from his failed Philadelphia mayoral bid in 2007 and disguised it as a loan to his consulting company. At the end of the campaign, Fattah used a scheme to repay the loan through grants and charitable funds from his nonprofit, the Educational Advancement Alliance, and passed through two other companies. In order to pull off the scheme, sham contracts were created to conceal the contributions and repayment operation. False entries were made into accounting records, campaign finance disclosure statements, and tax returns. Lobbyist Herbert Vederman, consultant Robert Brand, Fattah’s Congressional District Director Bonnie Bowser, and Educational Advancement Alliance CEO Karen Nicholas were charged along with Fattah. Fattah, who was first elected to Congress in 1995, lost his congressional seat in April after being defeated by Pennsylvania Rep. Dwight Evans in the Democratic primary. This entry was posted in Politics and tagged Corruption, Hillary Clinton, Pennsylvania. Bookmark the permalink.